This article previously appeared in The Tribune Weekend section on April 22. If you're a music lover, there's a million and one podcasts and radio shows where you can go and listen to music. But what about going beyond the music, to find out what goes on inside that world? This week's podcasts open the door and allow us a peep inside. It's hard to fathom that there is anyone who hosts a show who might be more expert in their subject than Jim DeRogatis and Greg Kot. Their Sound Opinions show takes a quick look at news in the music world – the latest episode for example touches on the decision by Bruce Springsteen to cancel a concert based on a state's laws preventing transgender people from using certain bathrooms and the furore over a shortage of women being nominated for the Rock 'n Roll Hall of Fame. But then the show plunges into the meat of the episode. The latest episode includes a fantastically in-depth interview with producer L.A.Reid, who is very open and honest in his discussion of the business, the successes he has had and the mistakes he has made. He talks about how he dropped Lady Gaga and you can hear the regret and hurt in his voice when he looks back on that, but against that he discusses the auditions in which he was wowed by Usher, who was far too confident, assured and flirtatious for the then 14-year-old boy he was, or Meghan Trainor, who showed up with a ukelele to sing her audition and then was told in no uncertain terms by Reid to leave the song alone and not to mix it up, because it was perfect. “I felt really smart that day,” he says. There's a lot of ego in the world of music making. Listening to Reid is a refreshing antidote to all of that. Song Exploder has a simple, but compelling, premise. Each episode picks a single song and examines each aspect of the song – where it came from, what was the inspiration, how it was put together, what made it tick. One recent episode takes a look at Suddenly I See, by KT Tunstall – a song that has become almost a cliché in the way it has been used by TV shows and films to represent a moment of positive female empowerment, and probably most familiar to people from the opening sequence of The Devil Wore Prada. 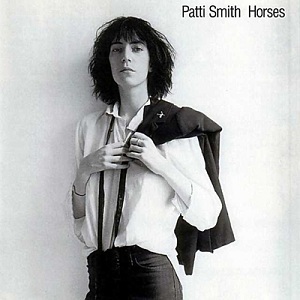 But it all started out with the Scottish singer-songwriter being inspired by a picture of rock legend Patti Smith from the cover of the album Horses, looking so cool that she seemed impossible to aspire to. From there, the episode details how the producer focused in on the rhythm that Tunstall produced from her guitar playing and how the trick was to take out the stock beat produced by the drummer but to merge rhythms to support that driving force to the song. It's a great episode, full of telling insights from both the singer and the producer, and an excellent starting point for listening to Song Exploder, before diving into their back catalogue of episodes to find your own favourite star. After all this talk of music, let's talk about mathematics. Did you know that the turn in a song that shifts your heart, that makes you feel emotion, can be expressed in mathematical form? That's at the heart of the latest episode of Surprisingly Awesome – a show hosted by Adam Davidson and Adam McKay. The pair, one a New York Times Magazine columnist, the other a former head writer for Saturday Night Live, take a look at all manner of topics – from how the 1990s song Tubthumping can illuminate economic theory, to the love bonds of pigeons, through to how mold is more closely related to humans than plant life. Rachel Ward and Adam McKay are in the hot seats for the latest episode, following a short break for McKay promoting the movie The Big Short, which he directed. With him, he brings the movie's composer, Nicholas Britell. He talks about the mathematics behind music – how an octave doubles in value from the previous octave for example. Britell particularly focuses in on the musical motif of the circle of fifths, a sequence of pitches where the next pitch is found seven semi-tones higher than the last. Understand that? I didn't either the first time the show discussed it, but Britell breaks it down to show the songs that use the same motif, and how the mathematics behind it can be used to mash up songs as different as Walk On By and Fly Me To The Moon – and even throw in a dash of Mozart along the way. Insightful and expert, the show takes something that sounds far too complex to understand and makes it mindblowing instead. Do you have suggestions for a podcast to feature here? Drop a message to Stephen Hunt on Twitter, at @chippychatty.